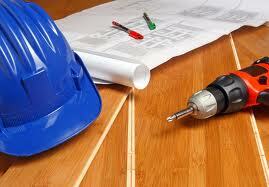 Excellent construction service, from start to satisfaction. This is our promise to you. From the moment disaster strikes to completed repairs the experienced team at ServiceMaster DAK can take care of the entire loss process so you can relax. From basic repairs, to complete renovations, small residential losses, to large commercial disasters we can restore virtually every type of structure. Our goal is to restore your property and your peace of mind as quickly and efficiently as possible. Our licensed and insured technicians and contractors will make a process that can be complicated and overwhelming exceedingly simple. Our highly trained project managers are able to handle all aspects of property damage repair and will coordinate the entire reconstruction, restoration process keeping in constant contact with you and your insurance carrier. ServiceMaster DAK has been proudly restoring homes and businesses throughout the North, North Shore and Northwest suburbs for 40 years. We’re here to help create calm from the chaos 24/7/365. Serving Northbrook IL, Wilmette IL, Glenview IL, Highland Park IL, Lake Forest IL, Winnetka IL, Buffalo Grove IL and surrounding areas since 1975.